TUM Records, based in Finland, is quickly becoming one of my favorite new labels. This is for several reasons: first, and most importantly, the music is all creative, fresh and forward looking, with nods to the jazz tradition and the avant-garde; second, the packaging, artwork and lengthy liner notes makes each release a complete package – in this way TUM is similar to ECM; third, also like ECM, the production, engineering and mastering is phenomenal, and every release I’ve heard on the album sounds great. While most of the label’s catalog focuses on the work of Finnish musicians, Americans such as Wadada Leo Smith, Billy Bang and Barry Altschul have recorded for the label. Aside from the music, part of what gives TUM it’s distinctiveness is the artwork. Each release features visual art from a Finnish artist that is used for the front and back cover art. The liner notes conclude with a thumbnail of the complete painting and a bio of the artists. In this way, the label synthesizes music with art. This is especially the case when the album is by Finnish musicians, as the complete package offers a piece of multiple aspects of Finnish culture. In short, TUM is a label with a clear musical and artistic vision that consistently puts out a well conceived, executed and forward looking product. Out of the several albums I’ve heard on the album over the last 24 months or so, here are five released within the last year, or so, that really struck me. 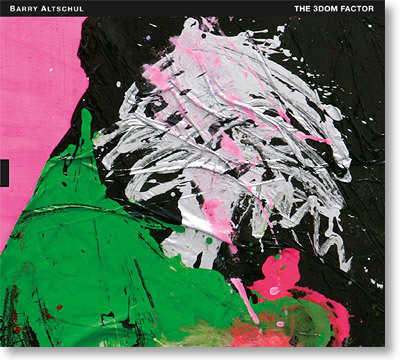 Barry Altschul: The 3Dom Factor One of my favorite formats is the tenor, bass and drums trio. Add The 3Dom Factor to the list of excellent albums in this format. It’s also one of the finest albums of 2013. The 3Dom Factor is Altschul’s first release as a leader in many years, and it features Jon Irabagon on tenor and Joe Fonda on bass. There are several things that really stand out: first, Altschul’s compositions. They are tuneful and hummable, playful, rambunctious, quirky, and at times demanding. Many of the tunes are brief and folk-like, and remind me of Paul Motian’s writing. There’s also a mix of grooves and feels, “Papa’s Funkish Dance,” well, has a nice funkish backbeat (this isn’t Clyde Stubblefield drumming for James – it’s a left of center jazz date); “Oops” has a tricky mixed meter A section – if I had to play it along with Altschul I’d be saying “Oops” a whole bunch; and “Ictus” is a fast, angular and jaunty post-bop head: think of mid-90s Branford w/ Tain. The diversity of meters, tempos, times, etc. does is give the soloists tons of ideas and textures to use as inspiration, nooks and crannies to explore. Second, the trio is super tight. Which as I’ve written in a previous post, pointing out how well a band plays together is a silly thing to say. But there, I said it anyway. I’m not sure how much is the nature of the charts, but there are moments where the music slowly goes in another direction, which feels a bit like being whisked away and taken somewhere new. If it’s improvised, it’s a tribute to the group’s musicianship and the trust they have in each other. If it’s written, then Altschul did a helluva job writing such seamless and spontaneous changes. Third, and this is related to the writing – is that each player gets lots of chances to solo; this album isn’t dominated by one player’s solo voice. And for those who are thinking “great, several bass solos, gotta tune those out” (admit it, you’ve all hated on the concept of the bass solo before) – don’t, as Fonda is a great soloist. And I don’t need to mention how killing Altschul and Irabagon are. Irabagon told me that the trio is heading back into the studio shortly (they may have already done so), and their second album for TUM will be out this year. If it’s anything like The 3Dom Factor, it will be phenomenal; I can’t wait to hear it. 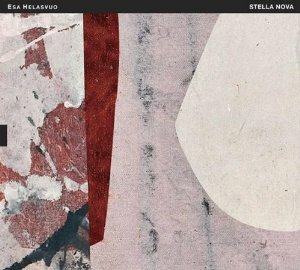 Esa Helasvuo: Stella Nova This is beautiful and compelling solo album is the first by the Finnish pianist and composer (who has been an important figure in the Finnish jazz scene for decades) in many years. All but one of the pieces are improvised, which gives the music a completely organic feel. Helasvuo’s music is at times contemplative, he uses silence and stillness to great effect, his touch is gorgeous, and his playing is quite pretty (although a couple times it verges on being too pretty-but it’s never precious). The lengthy (9 minutes and change) title track is one of the album’s stand outs. He slowly – slowly is almost an understatement – builds up a head of steam, and when he gets going the forward motion is that of a train hurtling towards the inevitable. This is not to say that on this track Helasvuo manages to play above a forte, or that he gets raucous or wild – like the rest of the album his playing is restrained, well thought out and always has a direction. Those into any of the solo piano or piano trio albums on ECM – think of John Taylor or Keith Jarrett – will really like Stella Nova. Now on to Out to Lynch: usually when somebody describes contemporary avant-garde jazz/creative or new music/improvisation/whatever-you-choose-to-call it he or she, myself including, will use the term “out.” But really, if it’s similar to something that was developed 50+ years ago, how “out” can it really be? 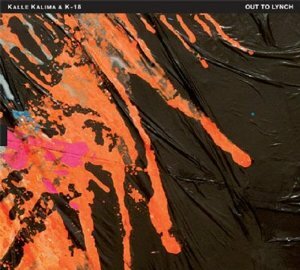 Kalle Kalima & K-18 really is out, I mean OUT, in every sense of the word. As the title implies, it’s dedicated to and takes inspiration from the work of filmmaker David Lynch. I’m almost embarrassed to say it, but I’m not familiar with Lynch’s work at all – which is something I plan on rectifying in the near future. The only thing I really know is that somebody killed Laura Palmer and that the question of who killed her is oft-asked (I was too young to watch Twin Peaks when it appeared, but it’s been something I’ve been meaning to dive into). I have not seen any of his movies. So, I’m not able to comment on how Kalima et al reflect upon or how they might take their cues from Lynch, but to repeat, they go OUT. The music is often shocking and surprising. For example, the opening track, “BOB,” begins with a rock guitar solo from Kalima, but then Veli Kujala’s entrance on quarter-tone accordion (much of what makes this album so jarring is the accordion’s tibres and tone clusters) – which barely matches, if at all, from what Kalima was playing – upsets I was expecting to follow. The rest of the track features free jazz solos from saxophonist Mikko Innanen, Kalima and Kujala in which the soloists-sometimes playing alone or in dialog with a bandmate- are accompanied by out of time bass from Teppo-Hauta-aho, crackling guitar and percussion. Despite the thick and shifting textures, the tendency to avoid time or meter, there are some more grooving – albeit a pretty whacked grooving – tracks. “Eraserhead,” for example, is built on a short and catchy riff that’s played over an almost neck snapping groove. But by the two minute mark, things get strange; it’s an awesome contrast. As crunching, dissonant and angular as things get, there’s also more quiet, ambient, atmospheric and introspective moments – several moments on “Laura Palmer” serve as examples, despite the brief and occasional punctuated outbursts. When I played that track on my jazz radio show last year it was too out for my co-host, and I told our listeners during the stop set that by playing “Laura Palmer” we may have set a new record for how out the show got, which was quite a statement, because I brought in a lot of “out” music. But out of it all, “Laura Palmer” might have been the truly “outest.” In fact, Out to Lynch might be just about the “outest” contemporary jazz or improvised music can get. 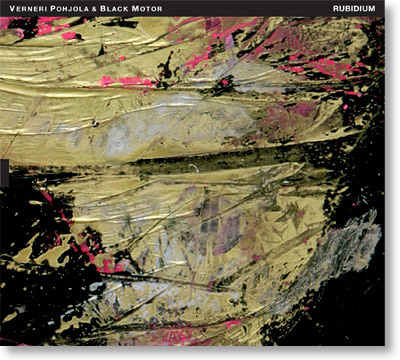 Verneri Pohjola & Black Motor: Rubidium The first time I played this album I really only had it on in the background, and without really paying attention it sounded like a pretty far out record (see above). But…when I finally gave it the attention it deserved it turns out it’s not as out there as I had first thought, as Rubidium is quite often all about singable melody, a quality not usually associated with avant garde jazz. At first the “out” signifiers (Sami Sippola’s rough and burly tenor sound, which comes right out of the free jazz saxophone pioneers of the ’60s, and the stretching and occasional abandonment of time by bassist Ville Rauhala and drummer Simo Laihonen) overshadowed the tunefulness of the compositions and solos. The quartet gives Rimsky-Korsakov’s “Song of India” a bold and rhapsodic reading, and while Sippola’s tenor solo is right out of the free jazz tradition, there’s a nice balance between melody and snarl. Particularly fun is “Sax-O-Phun,” by the underecognized 1920s saxophone virtuoso Rudy Wiedoeft. The short track begins with freeish solos before the band romps through the playful head (get your jazz hands going and pretend their on a serious dose of uppers). Edward Velsala’s dirge-like “Kynnyspuulla” is a lengthy lament and features lengthy and searching solos from Pohjola, Sippola and Rauhala. Like the album as a whole, the title track and “Old Papa’s Blues,” both by Pohjola, are fairly dark, a little brooding, are built on lengthy melodies, and are in minor. While this band is clearly capable of turning the “outness” knob up to 11, they only do so when necessary (as on “Rubidium), which gives these forays into outer-space more meaning and significance. Don’t get me wrong, a whole lot of folks will probably consider the whole album to be pretty avant-garde, and in some ways I wouldn’t argue with that; however, there’s enough melody to counter those folks who think avant garde jazz is nothing but noise. Verneri Pohjola & Black Motor prove just that. This is a pretty dark, moody and introspective album. From the first hit of the big piano and arco bass chords and the ensuing entrance of Aaltonen’s tenor, this album evokes later Trane – especially Stellar Regions. It doesn’t sound like Trane’s final studio album, but it is in that continuum. Perhaps this is because Aaltonen has a slow and wide vibrato just like Trane ahd on Stellar Regions, although Aaltonen’s sound has a slight brittleness to it that Trane’s didn’t. The music is full of polyrhythms and polyphony: that’s due to the two bassists (Ulf Krokfors and Ville Herrala), drummer Reino Laine, and percussionist Tatu Ronkko. Pianist and harpist Iro Haarla fills out the sextet. The five piece rhythm section provides a thick, thorny, and dense support for Aaltonen’s solos, and it’s function on this album is more to back Aaltonen than to provide soloists for every tune, although Haarla does solo. Like Aaltonen’s tenor sound, her tremolos and generous sustain pedal evoke Trane’s more meditative pieces from the mid-60s. Using such a big rhythm can run the risk of things getting cluttered or muddy, but that is not the case here, as each member picks and chooses their spots – the result is a rhythm section that sounds unified and adds complexity and interest, as opposed to one where its members are fighting to be heard. It’s quite impressive. Aaltonen plays flute on two tracks, but for me his tenor playing is most arresting. The title track is a great tenor feature that’s introduced by a bass solo. Aaltonen’s playing is bittersweet and heartfelt – it’s a heartbreakingly beautiful song. 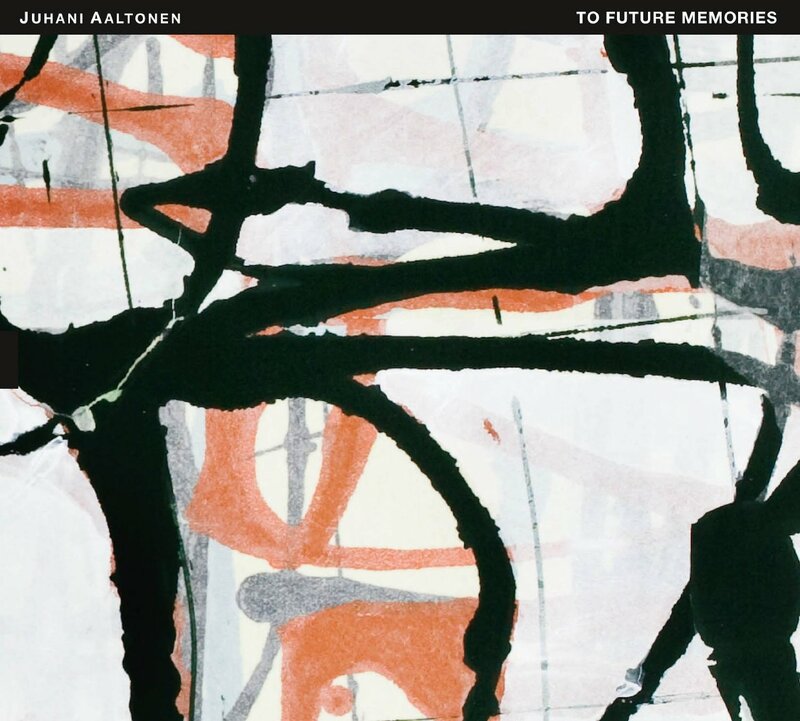 Although one hears a lot of references and similarities to the avant-garde scene of the mid and late 60s, there’s plenty new here to dig into, especially the playing of Aaltonen, who is one of the most important figures in the development of the Finnish jazz community. For those such as myself who like hearing artists stretch out and try new things, and who really need a well done, great sounding and tangible product – as opposed to a compressed and context devoid mp3 – the TUM catalog is definitely worth digging into. It also gives Americans – or anybody else for that matter – an opportunity to get into the Finnish jazz tradition, which is probably not that well-known outside of Europe, and which clearly has much to say. TUM is creating a wonderful archive of Finnish musical culture, and with a few additions of Americans to boot. Definitely give TUM your attention.